Photo albums aren’t the only place for family pictures. 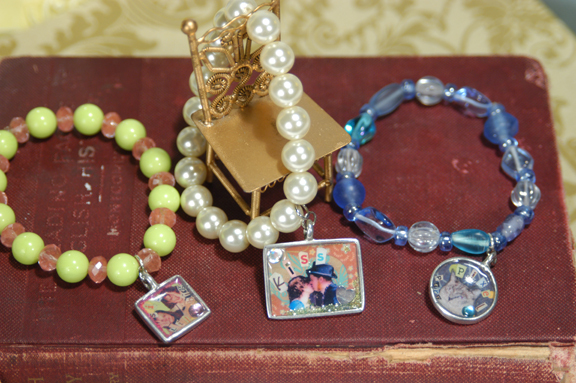 Try making heirloom charms to save your favorite shots and give them a personal touch. 1. Shrink the photo using in either a computer program (if a digital file) or copier (if a film photo). 2. Designing the pendant: This is the fun part, think of the pendant as a little mini piece of art. Begin by cutting a piece of scrapbook paper so that it will cover the bottom/back of the pendant tray. Glue stick to the paper to the bottom of the pendant tray. 3. Next cut fun shapes from additional scrapbook papers. Shapes like hearts, flowers, leaves, etc. Just remember that the shapes need to be small enough to fit in the pendant tray. Rummage through old magazines to find cute words like love, hope, smile, kiss, etc. cut the words out in a “ransom note” style. Position the family photo and the cut outs in the pendant tray in your desired pattern and glue stick them in place. Add a touch of sparkle by tacky gluing a small rhinestone and sprinkling a bit of ultra-fine glitter in the pendant tray. Allow to dry. 4. Adding the glassy finish: Apply Dimensional Magic in one continuous stroke covering all the papers and glitter until you have reached the sides and top of the pendant tray. Pop all air bubbles with a sewing pin. The glaze will appear foggy but, will dry crystal clear. Allow to dry on a flat surface for at least 24 hours. 1. 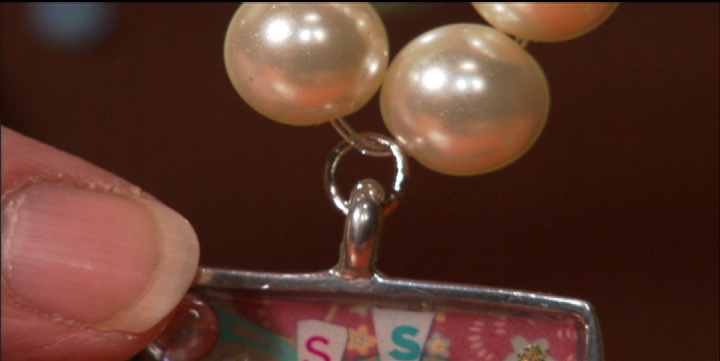 Thread the 19 pearls onto the elastic cord and tie off with a secure double knot. 2. Once dry, attach the pendant to the bracelet with pliers and a jump-ring. You could also use a jump-ring to attach the pendant to a bracelet you already own. Found your blog from the link @ Mod Podge Rocks. This is such a great project! I've been wondering how to create something like this for a while now. I saw your link on Mod Podge Rocks, and wanted to stop by... these are so cute!!! I can't wait to make some!